Senator David Norris and radio presenter Joe Duffy are among the guests on this week's Ray D'Arcy Show. Norris will be joining D'Arcy on the couch on Saturday night to commemorate 30 years of the 'Norris V Ireland' case which paved the way for future changes to the laws around the criminalisation of homosexuality in Ireland. Liveline presenter Joe Duffy will also be in studio and is to chat about making his Panto debut as the Magic Mirror in Snow White at the Tivoli Theatre. And as the new series of Liveline Callback returns to RTÉ One on November 1, Joe tells Ray about bringing together some of the people involved in the most powerful Liveline stories. After his involvement in the launch of 221 + Cervical Check Patient Support Group, Stephen Teap joins Ray to talk about his wife Irene, who died in July 2017 of cervical cancer. The Cork mother-of-two was diagnosed in 2015, after two undisclosed false tests, in 2010 and 2013. Plus brothers Vladimir and Anton, The Violinists will be in studio to perform an electrifying version of Miserlou (the unofficial Pulp Fiction theme) accompanied by two Argentine tango dancers. And completing the line-up this week, a selection of adorable doggy contestants from Ireland's Next Top Madra! 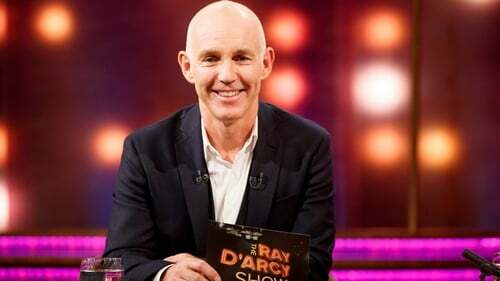 The Ray D'Arcy Show airs on RTÉ One this Saturday at 9.45pm.